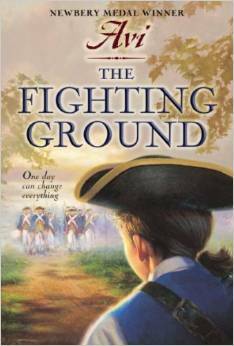 The Fighting Ground is a vanilla piece of historical fiction by Avi. The action takes place over a roughly 24 hour period pf April 3 and April 4th , 1778. The American Revolutionary War is ripping up the New Jersey country side skirmish by skirmish and is beconing 13-year-old Johnathan away from his farm to fight. Although The Fighting Ground is hailed as “action packed” and is an award winning publication, I found it a bland read. I’m scratching my head as to why this one is on the banned book list. It is a book about war so there is some Violence. But that was about it. The chocolate kept its shape and made a nice little well of dark deliciousness. I used a bar that had 80% Cocoa so it was super dark and yummy. You can also see bits of the fig in the pic. 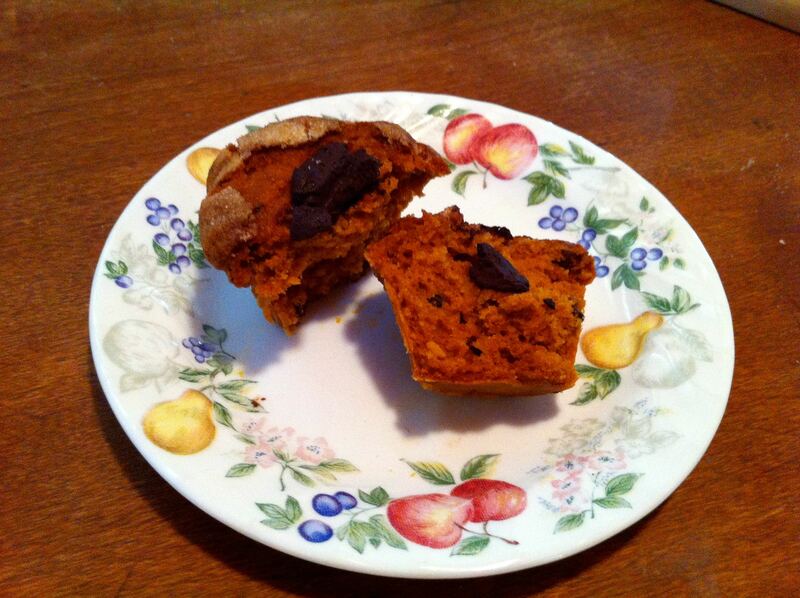 The muffin’s orange color comes from the Tomato Juice, which you can’t really taste at all. 1) Preheat the oven to 400°F. Lightly grease and flour muffin cups. 2) Whisk together all the dry ingredients, including the Flour, Sugar, Salt, Baking Powder, Baking Soda, Cardamon, Figs and Peanuts. 3) In a blender, whisk together the Vanilla, Vegetable Oil, and Tomato juice. 5) Spoon the batter into the prepared muffin cups, filling each nearly full. 9) Continue baking for 18 to 20 minutes, until they’ve domed nicely and they’re lightly browned around the edges. And they pass the toothpick test. 10) Remove the muffins from the oven, and transfer them to a rack to cool. These are super yummy. The cardamon and fig combo is out of this world. 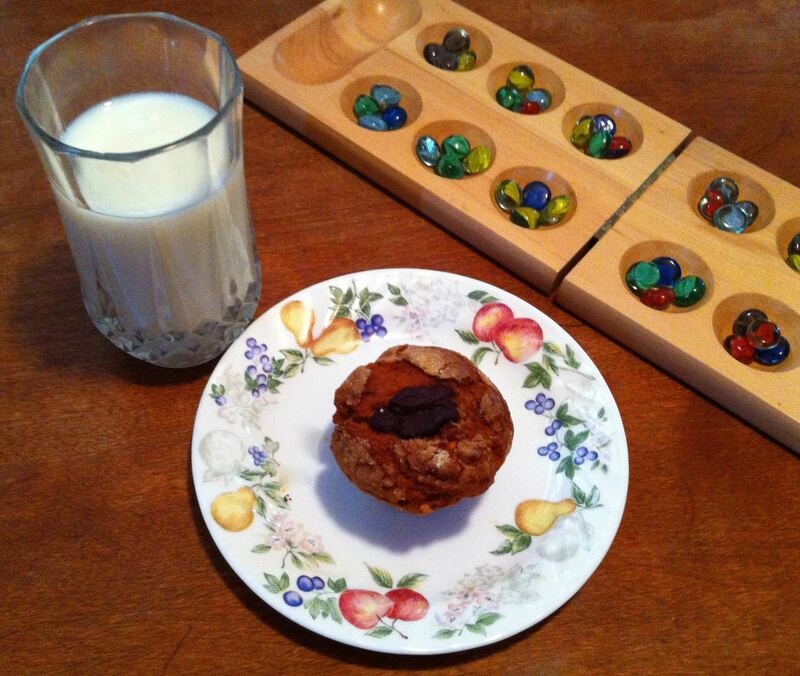 And my tasters thought they were some of the best muffins they’d ever had. They aren’t too moist so I suspect they would travel pretty well, but, frankly, they were consumed too quickly to make it to the Post Office. 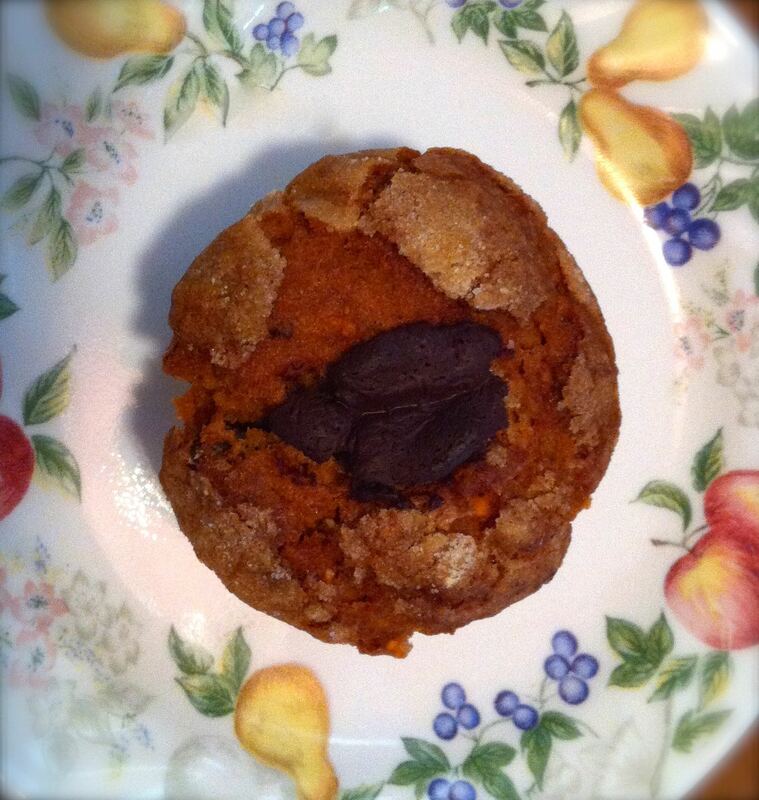 Looking for other Vegan Muffin recipes? Just type VEGAN in the search field to the left.